OXID eXchange | Google E-Commerce-Modul for OXID 2.2 | Stable | CE | 4.7.x - 6.1.x - google | Module, Themes, Language Packs direkt herunterladen! The module Google E-Commerce Module for OXID creates a sitemap index file and all related sitemaps. Thanks to an XML sitemap, Google and Co are informed about which pages should be crawled in your shop. Configuration. 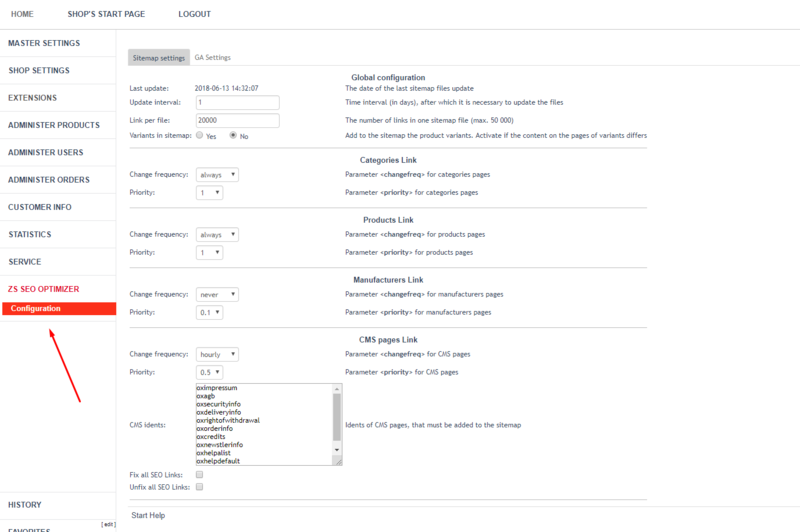 After activating the module, the new menu item «ZS SEO Optimizer» appears in the admin area. The settings must be made on two tabs (for Sitemap and for Google Tracking Codes). 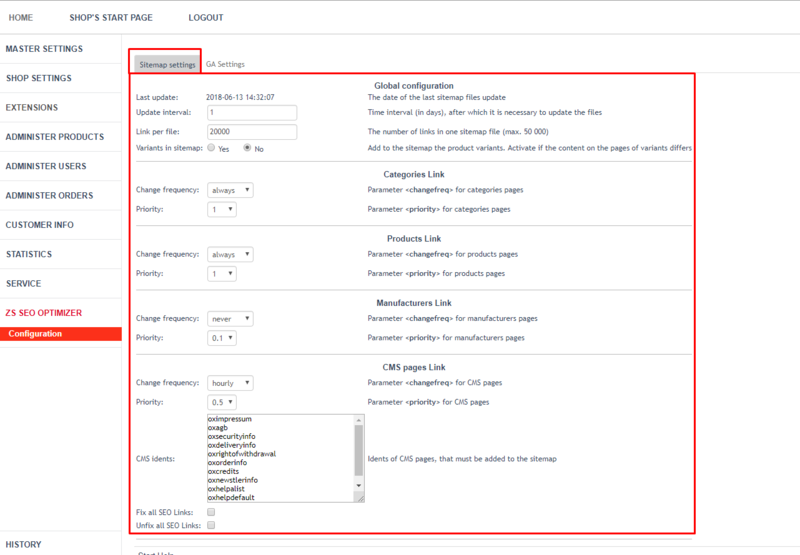 Integration of the Analytics tracking code on all pages of your OXID shop. Integration of the e-commerce tracking code on the thank you page of your OXID shop.